Please contact us for excellent prices on our used bingo machinery. Send an email to receptionist2@moranandsonsbingo.com. Frank Moran & Sons is the exclusive Maryland distributor for Power Bingo. Power Flash set the standards for reliability and performance in a truly portable electronic Bingo handset. 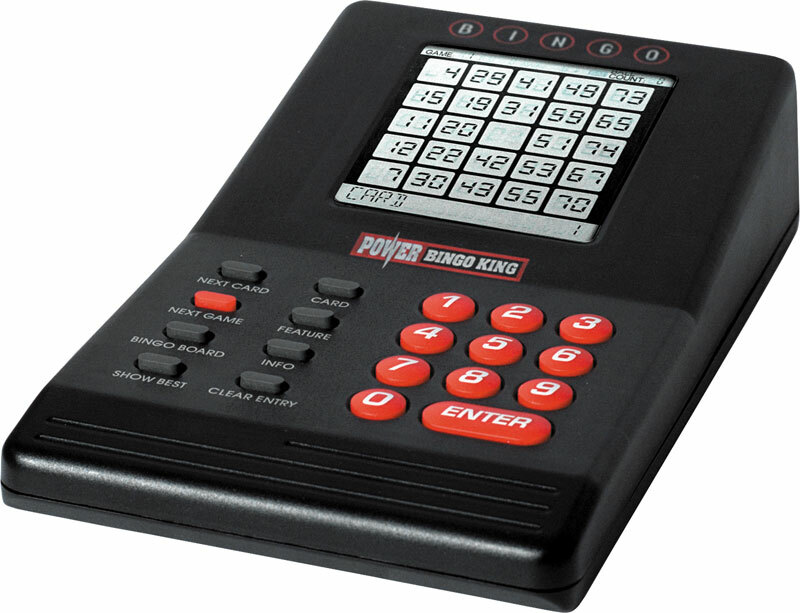 This fully mature product is widely used in Bingo operations around the world, making it one of the most successful electronic bingo handsets ever produced. The handset provides the player with a familiar, full-size card display and large, easy to use buttons. Handset sales are loaded using the Power Bingo e-Bos system, allowing full compatibility with other products, such as the Power Player color handset, PowerTouch fixed base gaming. Choose from any of our basic models which include built in timer, programmable game patterns, total number of balls called and bright easy to read 4″ numbers. Increase sales and profits with our electronic pull-tab dispensers. Choose from our Tab-Tronic 4 column or maxim 6 or 12 column ticket dispensers. Nautilus Hyosung’s ATM technology acquired from years of experience in the retail industry, is engineered to provide outstanding reliability at an affordable price.